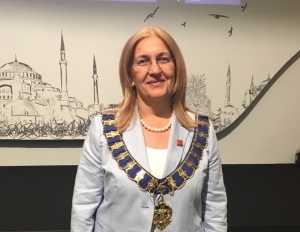 FIG outgoing President Prof. Chryssy Potsiou has the pleasure to invite you to a festive celebration of FIG. FIG was founded back in 1878 by seven European associations, and this year, 2018, marks the 140th anniversary of FIG. President Potsiou wants to celebrate this combined with a hand over ceremony to the incoming President. Two sessions in the morning will be dedicated to the celebration of the 140th anniversary, and one session in the afternoon will include the hand over ceremony. The celebration will be held in conjunction with tufe2018 7-9 November 2018. It is a great honor for the President of the Technical Chamber of Greece (TCG), Mr Stasinos, and for the outgoing FIG President Prof Potsiou to invite you to participate in the Athens Joint Conference TUFE2018 organized by TCG in cooperation with Surveyors (FIG), Architects (UIA), European Civil Engineers (ECCE), and the Working Party on Land Administration (UNECE WPLA) on 7-9 November, under the general topic: Economy, Society and Climate Change- The Impact of Mega trends in the Built Environment, Construction Industry and Real Estate. The venue of the Conference is the building of EUGENIDES FOUNDATION, 387 Syngrou Avenue – 175 64 P. Faliro, Greece. For this joint conference TCG has not made an open call for papers, but is making a direct invitation to speakers. The celebration of the 140 years of FIG will take place on Friday, 9th. We will then hand the leadership of FIG over to the next FIG President, Prof Staiger, DVW, Germany. During this high level joint event TCG aims to establish a close cooperation between FIG, UIA, ECCE and WPLA for the benefit of society and the Sustainable Development Agenda 2030, and wishes to make note of the contributions of FIG, UIA, ECCE, and UNECE WPLA to the economy, society and the environment. TCG offers free registration to the conference, coffee and lunches. You will have to register for the event. Gala Dinner offered by TCG will be held on the 7th and a FIG dinner will be held on the 9th. Here you will also find the registration form, and information about a guided tour that will take place on Saturday 10th. FIG President Potsiou hopes to see many FIG friends to this special celebration.